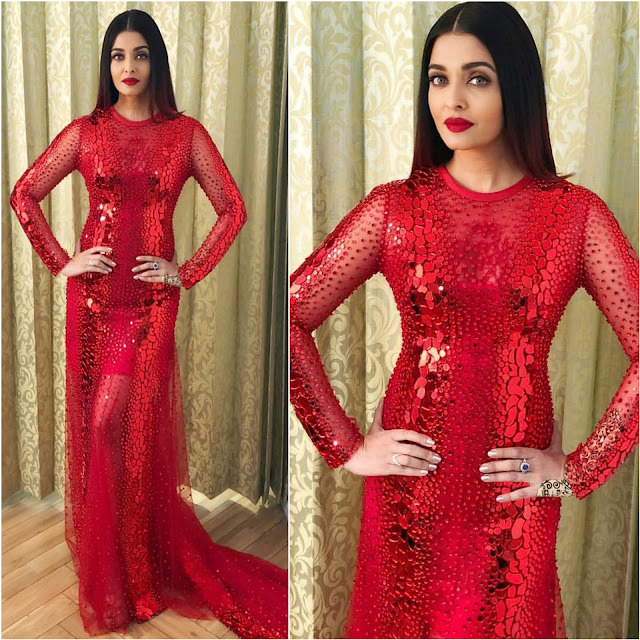 It was a red Atelier Zuhra gown featuring mirror work for Aishwarya for attending the Lux Golden Awards 2018. Apart from that beautiful face, nothing else was likeable. The sheer sleeves, the hair, the styling, the make-up and the gown itself, none of these worked here. A missed opportunity by Ms. Rai!